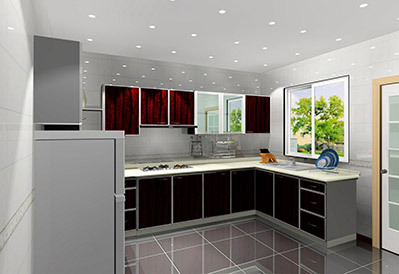 P2D Studio is a reliable interior design company for kitchen, wardrobe, and cabinet. Our showroom is located in Butterworth, Penang. With many years of experience in kitchen designing, we are capable to create your dream kitchen. We specialized in designing and building wardrobe system that meets customer needs. We help to measure your kitchen and deliver quality product and affordable prices for you. In additional, our designer team is skillful to listening and understanding customer needs before start the projects. We will also work our best to create a beautiful kitchen that will perfectly fit your lifestyle and budget. We are very well in designing different kinds of kitchen feeling no matter functional kitchen design or modern kitchen feeling. Customer is also welcome to order for our free consultation services or visit the latest trends of kitchen design display. If you are interested with our kitchen design or services, please do not hesitate to contact or email us. We are your best kitchen helper!